Thank you for visiting the Car Loan Pal™ website located at www.carloanpal.com (the “Site”). The Site is an Internet property of Car Loan Pal, LLC (“Company,” “we,” “our” or “us”). Each end-user visitor to the Site (“User,” “you” or “your”) agrees to the Car Loan Pal™ Website Terms and Conditions (“Terms and Conditions”), in their entirety, when she/he: (a) accesses or uses the Site; (b) accesses and/or views any of the: (i) links to third-party automobile loan(“auto loan”)-related resources and other information (“Third Party Links”); and/or (ii) blog posts, text, video and/or other information pertaining to auto loan-related products and/or services made available on the Site (the “Informational Content,” and together with the Third Party Links, the “Content”); and/or (c) utilizes the various contact forms and/or contact information made available on the Site as a means to contact directly, or request to be contacted by, Company and/or Company’s auto loan-related and/or credit repair product and/or service providers (“Third Party Lenders”) (collectively, the “Contact Services,” and together with the Site and Content, the “Site Offerings”). Please be advised that Company does not itself offer auto loan and/or credit repair-related and/or credit repair products and/or services, and the ultimate terms and conditions of any auto loan and/or credit repair-related products and/or services made available via the Contact Services will be determined by the applicable Third Party Lender. 1. Scope; Modification of Agreement. The Agreement constitutes the entire and only agreement between Users and Company with respect to Users’ use of the Site Offerings, and supersedes all prior or contemporaneous agreements, representations, warranties and/or understandings with respect to same. Company may amend the Agreement from time to time in its sole discretion, without specific notice to Users; provided, however, that any amendment or modification to the arbitration provisions, prohibition on class action provisions or any other provisions applicable to dispute resolution (collectively, “Dispute Resolution Provisions”) shall not apply to any disputes incurred prior to the applicable amendment or modification. The latest Agreement will be posted on the Site, and Users should review the Agreement prior to using any Site Offerings. By a User’s continued use of the Site Offerings, that User hereby agrees to comply with all of the terms and conditions contained within the Agreement effective at that time (other than with respect to disputes arising prior to the amendment or modification of the Dispute Resolution Provisions, which shall be governed by the Dispute Resolution Provisions then in effect at the time of the subject dispute). 2. Requirements; Termination of Access to the Site Offerings. The Site Offerings are available only to individuals who can enter into legally binding contracts under applicable law. The Site Offerings are not intended for use by individuals under eighteen (18) years of age (or the applicable age of majority, if greater than eighteen (18) years of age in their jurisdiction). If a User is under eighteen (18) years of age (or the applicable age of majority, if greater than eighteen (18) years of age in her/his jurisdiction) and/or if that User is unable to enter into legally binding contracts under applicable law, that User does not have permission to use and/or access the Site Offerings. Company may terminate a User’s access to the Site Offerings at any time and for any reason, in its sole discretion. Such reasons may include, without limitation, where Company believes that such User is: (a) in any way in breach of the Agreement; and/or (b) engaged in any improper conduct in connection with the Site Offerings. 3. Contact Services; Third Party Lenders. Where a User attempts to utilize the Contact Services, that User may be required to submit, and Company may collect, some or all of the following information: (a) the User’s e-mail address; (b) the User’s full name; (c) the User’s home and work telephone numbers; (d) the User’s mailing address; (e) the User’s date of birth; (f) whether the User rents or owns a home; (g) what is the monthly rent/mortgage payment, as applicable; (h) the name of that User’s employer; (i) the User’s current employment position; (j) the User’s monthly income; (k) the User’s duration with her/his current employer; (l) the User’s Social Security Number; and (m) any other information collected via the Contact Services form (collectively, “Contact Data”). Upon entering Contact Data and clicking on the applicable submission button on the Site: (i) Company may pass your Contact Data along to one (1) or more Third Party Lender(s); and/or (ii) you may be contacted by Company and/or one (1) or more Third Party Lender(s) regarding your request. Where Company contacts you in connection with your submission of Contact Data, a Company representative may request additional information over the telephone including some or all of the following: (A) certain information pertaining to the User’s desired auto loan and/or credit repair-related products and/or services; (B) certain information pertaining to the User’s financial history; and (C) any other information requested by the applicable Company representative (collectively, “Follow-Up Data,” and together with the Contact Data, the “User Data”). 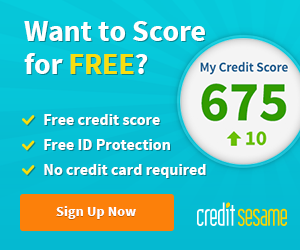 Please be advised that Company does not itself offer auto loan and/or credit repair-related products and/or services, and the ultimate terms and conditions of any auto loan and/or credit repair-related products and/or services made available via the Contact Services will be determined by the applicable Third Party Lender. You understand and agree that Company shall not be liable to you or any third party for any products and/or services offered by any Third Party Lenders. (a)	Company does not sponsor, recommend or endorse any Third Party Lender that is accessible by or through the Contact Services and/or other Site Offerings. The Third Party Lenders that are accessible by and through the Contact Services pay a fee for access to the Users that utilize the Contact Services. Company does not guarantee that Users will successfully find auto loan-related products and/or services through the Site Offerings. (b)	Please use caution and common sense when using the Site Offerings. Company in no way endorses the content or legality of any responses, statements or promises made by Third Party Lenders or any other parties on the Site or otherwise through the Site Offerings. 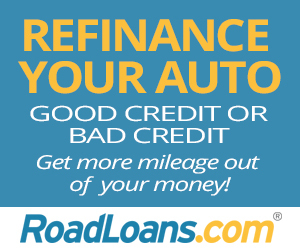 (c)	The determination of the need for auto loan and/or credit repair-related products and/or services and the choice of auto loan-related service providers are extremely important decisions and should not be based solely on advertisements or claims of expertise offered by any Third Party Lenders. Company does not review the standing of any Third Party Lenders with any regulatory authority and/or governmental agency. Therefore, Company makes no representation regarding the status, standing or ability of any Third Party Lenders. When considering utilizing the services offered by a Third Party Lender, Users should check that Third Party Lender’s standing, past practices and reputation. (d)	Company does not involve itself in the agreements between Users and Third Party Lenders or any relationships created thereby. Therefore, Company does not make any representations regarding the competency, trustworthiness, honesty, integrity and/or behavior of its Users or Third Party Lenders, as applicable. Each User, and not Company, is solely responsible for assessing the competency, trustworthiness, honesty and integrity of all Third Party Lenders that the User communicates with via the Contact Services. 5. Content; Third Party Links. The Site contains Content which includes, but is not limited to, text, video and other information pertaining to auto loan-related products and/or services, as well as regularly updated Third Party Links. The Content is offered for informational purposes only and is at all times subject to the disclaimers contained herein, and on the Site. 6. Interactions. Users are solely responsible for their interactions with Third Party Lenders and other third parties. Because Company is not involved in User interactions, in the event that you have a dispute with one or more Third Party Lenders and/or other third-parties, you hereby release Company from any and all claims, demands and/or damages (actual and consequential) of every kind and nature, known and unknown, suspected and unsuspected, disclosed and undisclosed, arising out of, or in any way connected with, such disputes. 7. Representations and Warranties. Each User hereby represents and warrants to Company as follows: (a) the Agreement constitutes such User’s legal, valid and binding obligation which is fully enforceable against such User in accordance with its terms; and (b) such User understands and agrees that such User has independently evaluated the desirability of utilizing the Site Offerings and that such User has not relied on any representation and/or warranty other than those set forth in the Agreement. 8. Indemnification. Each User agrees to indemnify, defend and hold Company, its members, officers, directors, employees, agents and attorneys, harmless from and against any and all liabilities, claims, actions, suits, proceedings, judgments, fines, damages, costs, losses and/or expenses (including reasonable attorneys’ fees, court costs and/or settlement costs) arising from and/or related to: (a) any dispute between that User and any Third Party Lender or other third party; (b) User’s breach of the Agreement and/or any representation or warranty contained herein; and/or (c) User’s improper and/or unauthorized use of the Site Offerings in any manner whatsoever. The provisions of this Section 8 are for the benefit of Company, its parents, subsidiaries and/or affiliates, and each of their respective officers, directors, members, employees, agents, shareholders, licensors, suppliers and/or attorneys. Each of these individuals and entities shall have the right to assert and enforce these provisions directly against you on its own behalf. 9. License Grant. Each User is granted a non-exclusive, non-transferable, revocable and limited license to access and use the Site Offerings. Company may terminate this license at any time for any reason. Unless otherwise expressly authorized by Company, Users may only use the Site Offerings for their own personal, non-commercial use. No part of the Site Offerings may be reproduced in any form or incorporated into any information retrieval system, electronic or mechanical. No User or other third party may use any automated means or form of scraping or data extraction to access, query or otherwise collect material from the Site Offerings except as expressly permitted by Company. No User or other third party may use, copy, emulate, clone, rent, lease, sell, modify, decompile, disassemble, reverse engineer or transfer the Site Offerings, or any portion thereof. No User or other third party may create any “derivative works” by altering any aspect of the Site Offerings. No User or other third party may use the Site Offerings in conjunction with any other third-party content. No User or other third party may exploit any aspect of the Site Offerings for any commercial purposes not expressly permitted by Company. Each User further agrees to indemnify and hold Company harmless for that User’s failure to comply with this Section 9. Company reserves any rights not explicitly granted in the Agreement. 10. Proprietary Rights. The Site Offerings, as well as the organization, graphics, design, compilation, magnetic translation, digital conversion, software, services and other matters related to same, are protected under applicable copyrights, trademarks and other proprietary (including, but not limited to, intellectual property) rights. The copying, redistribution or publication by any User or other third party of any part of the Site Offerings is strictly prohibited. No User or other third party acquires ownership rights in or to any content, document, software, services or other materials viewed by or through the Site Offerings. The posting of information or material by and through the Site Offerings does not constitute a waiver of any right in or to such information and/or materials. 11. Legal Warning. Any attempt by any individual to damage, destroy, tamper with, vandalize and/or otherwise interfere with the operation of the Site Offerings is a violation of criminal and civil law and Company will diligently pursue any and all remedies against any offending individual or entity to the fullest extent permissible by law and in equity. 12. Disclaimer of Warranties. THE SITE OFFERINGS AND ANY OTHER PRODUCTS AND/OR SERVICES OFFERED BY AND/OR THROUGH SAME ARE PROVIDED TO USERS ON AN “AS IS” AND “AS AVAILABLE” BASIS AND ALL WARRANTIES, EXPRESS AND IMPLIED, ARE DISCLAIMED TO THE FULLEST EXTENT PERMISSIBLE PURSUANT TO APPLICABLE LAW (INCLUDING, BUT NOT LIMITED TO, THE DISCLAIMER OF ANY WARRANTIES OF MERCHANTABILITY, NON-INFRINGEMENT OF INTELLECTUAL PROPERTY AND/OR FITNESS FOR A PARTICULAR PURPOSE). IN PARTICULAR, BUT NOT AS A LIMITATION THEREOF, COMPANY MAKES NO WARRANTY THAT THE SITE OFFERINGS AND/OR ANY OTHER PRODUCTS AND/OR SERVICES OFFERED BY AND/OR THROUGH SAME: (A) WILL MEET ANY USER’S REQUIREMENTS; (B) WILL BE UNINTERRUPTED, TIMELY, SECURE OR ERROR-FREE OR THAT DEFECTS WILL BE CORRECTED; (C) WILL BE FREE OF HARMFUL COMPONENTS; (D) WILL ENABLE ANY USER TO OBTAIN AUTO LOAN AND/OR CREDIT REPAIR-RELATED PRODUCTS AND/OR SERVICES AND/OR REALIZE ANY SPECIFIC ECONOMIC BENEFIT; AND/OR (E) WILL BE ACCURATE OR RELIABLE. THE SITE OFFERINGS AND/OR ANY OTHER PRODUCTS AND/OR SERVICES OFFERED BY AND/OR THROUGH SAME MAY CONTAIN BUGS, ERRORS, PROBLEMS OR OTHER LIMITATIONS. COMPANY WILL NOT BE LIABLE FOR THE AVAILABILITY OF THE UNDERLYING INTERNET CONNECTION ASSOCIATED WITH THE SITE OFFERINGS. NO ADVICE OR INFORMATION, WHETHER ORAL OR WRITTEN, OBTAINED BY ANY USER FROM COMPANY OR OTHERWISE THROUGH OR FROM THE SITE OFFERINGS SHALL CREATE ANY WARRANTY NOT EXPRESSLY STATED IN THE AGREEMENT. © 2019 Car Loan Pal, LLC. All Rights Reserved. Car Loan Pal and it logos are trademarks or registered trademarks of Car Loan Pal, LLC. All other company and product names referenced herein are the property of their respective owners.